Beautiful blue velvet pedestal covers. Set of three included in price. 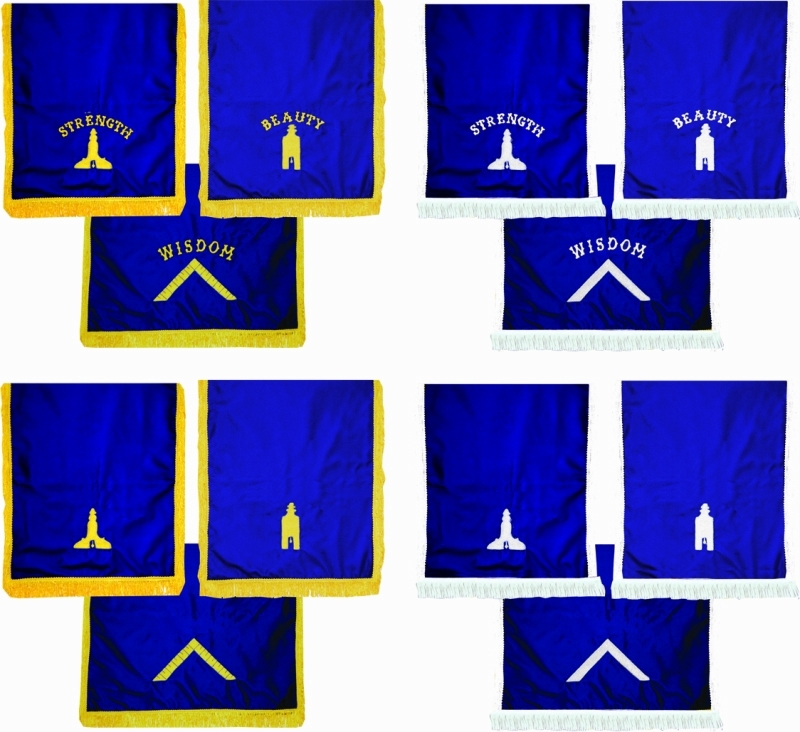 Worshipful Master 22" x 52", Sr. Warden and Jr. 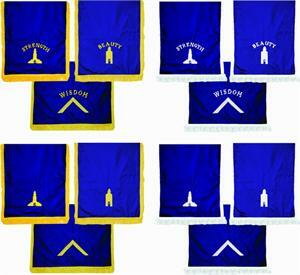 Warden 12" x 36" with emblems embroidered . Fully lined with fringe matching emblem color . Choose color of emblem in pull down menu.